Yesterday I was sitting at a busy food court in a mall, with every possible space occupied and packed as far as I could see. I considered myself lucky enough to have found a space for myself and my girls. As we sat down, thinking what we could have that would not involve waiting in too-long queues, the younger one opened her bag and took out her handy notepad and paper. Soon, she was lost to us, and was absorbed in her own world, writing, looking around and capturing on paper what she saw. The older one, like me, already had a book to take care of any such free time that came upon her, and she was soon inside her book too. As I was looking in my bag to take out my book (yes, I always have at least one or two books with me wherever I go, who knows when the need arises!!! ), I heard a soft voice next to me, addressing me quietly. I turned to see the voice coming from the lady sitting at the next table. She asked me if the girls were mine, and I said yes. Then, she immediately jumped to the next question - "Do you never scold them? Or shout at them?" Okay, so just as weird as it sounded writing it out here, the same expression came on my face, and I looked at her with a smile and said 'No, I don't really need to scold them, I don't do that." She pointed to a girl, aged about four, who was absolutely out of control, running and bumping into people, climbing on tables, and on others' tables too, trying to touch their food, pulling at others' clothes, all in all, doing all those 'naughty' things in public places that put parents in a fix! She looked back at me and said that was her daughter, and till date, not a day had passed by when she had not scolded, shouted, or hit her, and later spent the entire day in guilt. "I just don't know what to do! I am usually a soft-spoken and quiet person, but she has no discipline! Only hitting her can quiet her down for some time. And she watches 5 to 6 hours of screen a day, and if she does not get it, she screams so much that we end up giving her something to watch. How are you managing your daughters? You didn't say anything, they simply started reading and doing their own thing, and your younger one is almost the same age as mine! How did you do that?" She was hassled beyond her limits, and the answer that I was about to give her was at a risk of sounding too cliched or simple, but was true no doubt. "Scolding or hitting is not always the way to create discipline, most of the time, love and appreciation can do that too." She wanted to know what I meant. From most of the time I remember, I have made a conscious effort to show my girls how much I love them, how I appreciate their gestures, how proud I am of their good behaviour, I make sure to tell them 100000 times a day that I love them, share free hugs that come without any condition (no bribing or saying things like I love you, but you have to do so and so), and on a regular basis, just keep reminding them how blessed I feel to have them in my life. But...... when things go wrong, when they behave in a certain way or do things that are not acceptable, they immediately see that huge change in my behaviour.... when I close up, I stop responding and they understand from my body language that I am definitely not happy. And I never tell them that I don't love them, I tell them I am disappointed, that they have made me feel bad. It works, at least, it has always worked till now...even as my elder one is ready to hit her teens soon!! It's not that difficult actually, and she seemed quite ready to try this out herself..
"What about the reading and doing activities and writing by herself? She is quite young, and you didn't even ask her to do it, how does she do it on her own?" I have been reading ever since I remember (thanks to my ma and my nana (my dadun!) and the habit has passed on to both the girls, almost as naturally as living and breathing has come to them.... So it is that, each time we leave the house, me and the girls always have something to read with us, whether it is a trip to the mall or to the restaurant, or even on vacations, small or big..
And yes, as long as we really want to be friends with them, they can treat us as their bestest friend and confidante for life! For the past couple of weeks now, the one news that I have religiously been following each day is that of the boys stuck deep inside in the caves at Thailand. The world is out there, trying to provide all means of help and support to the Thailand government, so that the young boys, and their coach (who is all of 25 himself) can come out of the caves safely and be reunited with their family and loved ones. What started off as a day of outdoor exploration and a fun birthday celebration of one of the boys along with friend aged between 11 and 16 and their young assistant coach, has turned a nightmare that the world is keenly watching. There is so much going on there. Rescue teams have been created from different parts of the world, some of the best divers from around the world are already there, experienced and ready to help at each step, while one of the rescuers, a Navy SEAL, lost his life trying to rescue the boys. Last heard, 4 of the children from the group have been brought out alive and have been sent to hospital for treatment and medical care. Efforts are on to bring out the remaining boys, which will begin soon. For now, I have made sure both my kids, aged 4 and 10, are aware of what is going on. Of course we are not aware of the exact reasons that prompted the boys to go so deep into the caves, but can just hope they all come out safe. For now, my kids seem to be keen on staying safe and understanding the risks around them, so I hope things will get better, for those kids, and for the safety of mine too. The summer vacations are on and the heat is on at home too, what with trying to manage the two kids and completing all the work deadlines. I am really having a challenging time I tell you! So it was really interesting to see that the British Council has organized a workshop around this time that will be a week long thing. Here's a look at what all British Council says you can expect to have there at the workshop. Explorers: Through a virtual trip around the world, children will learn about different cultures, develop language skills and build confidence through a lesson about one country each day. Media Magic: Children will explore communication channels such as the radio, television and the internet. They learn how to write blogs, create an advertisement and even explore ways of using the internet (wisely of course!). All this and more, as they develop specific skills (reading, writing, listening and speaking) and aspects of language (vocabulary and pronunciation) in a fun, secure and learner centric environment. Fee: INR 5400 for non-members (includes an online library membership) and INR 4000 for library members. How To Register: Call 0120-4569000/ 0120-6684353 (Monday-Saturday, 09:00-18:00hrs) or send an e-mail to IndiaCustomerCare@britishcouncil.org. So that's all the details and what you need to do if you want to enroll your child in the same. I definitely am looking forward to take my kiddo there and let her be a part of it, as she already has her own blog and is interested in such topics. Registrations close on Sunday, so do hurry. My younger one (4) is always telling me how much she loves me and how much she will continue to love me for ever and ever. Of course there are moments each day almost when she gets upset with me with something or the other, and then she is quick to remind me that she does not love me anymore and is not friends with me anymore. And she makes it a point to show me what a load of cuteness I am missing out on. She will sulk and pout and walk around the house with her hands folded across her chest, showing me that she is upset, sad or angry, and giving me thousands of signs that I should leave everything and try to make her feel happy again and be friends again. All the other times that she is in a happy mood, she tells me she loves me and comes up to me and kisses me. "Mamma, I will always love you. I love you a lot." "Mamma, I will love you even when I am 5 years old." "Mamma, I will love you even when I am 10, 30. 100 years old." "Ohhh...I love you so much my baby. 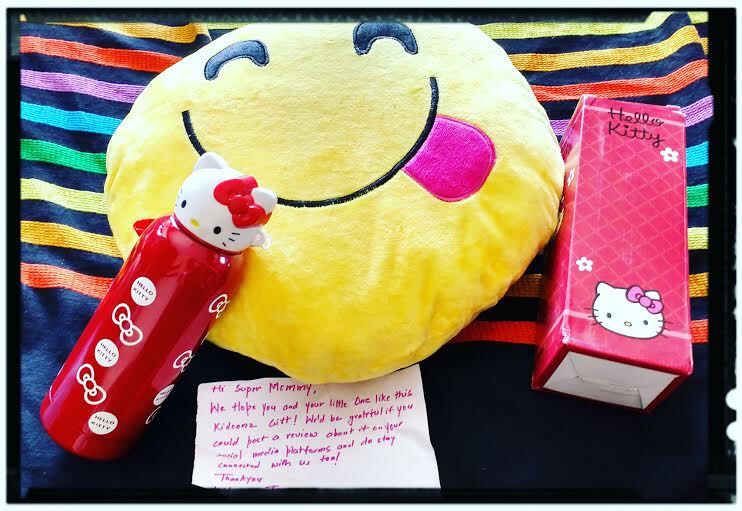 Thank you..I love you too and will always love you." 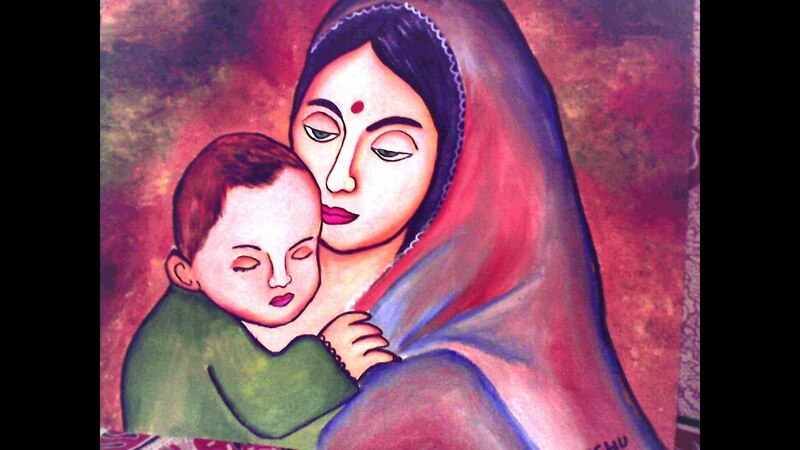 "Mamma, I will love you even when I am hundred, thousand, hundredthousand and tenhundredthousand years old." "Thank you my baby for choosing me as your mamma." I don't really know how to express how lucky and blessed and loved I feel. Why letting your children get bored is so good! How can you even pretend to be all organized and in control and all that blah blah when you have a 4 and a 10 year old in the house the entire day? With work deadlines to be met on time, delicious healthy and appealing home cooked meals to be prepared and just about 1057573497596497 things to be done, (and mind you, no help for the next few weeks as my sweet help also wants to celebrate her kids' vacation time away from the big city) I can tell you the one secret weapon I found that is helping me take care of that big question all parents face when the kids are home - "How To Keep Them Occupied????" The art of getting bored is actually an art in these days of over-exposure and too many things to choose from and do... From summer camps that have everything you could ask for for kids, petting farms, nature trails, swimming, dance, art and craft, music, building workshops, exhibitions, plays, movies, sports, theatre and so so much more, when do our kids get a chance to just take some time off and let their mind do the work for them, instead of guiding it on what to do all the time? So this vacation, I have honestly not engaged them in any activity, except for swimming classes for the younger one as I want her to learn it and then swim fearlessly anywhere. So all they are doing the entire day is to get really bored, crib, disturb me no end on what they should do (and it is taking a toll on my work of course, but mommy duty calls too), and then, when they don't see any help coming, they let their brains do the work and come out with ideas and things to do. Also, they are learning the art of sharing, of taking the initiative and calling up other similar-sized friends and planning on what to do and then organizing it properly as well. So you see, not only is this letting the brain work, it is also helping them get more social, be vocal and learn to plan. There are countless reasons of course, there are the good ones, the bad ones, and then those that are absolutely unbearable for the time being (!) that make me feel why I got into this craziness of becoming a mom, that too twice! But then again, I think my babies know what I go through sometimes in my head, so they come up with these amazing things that make me feel so loved and special that I can't see myself as anything else but first a mommy. 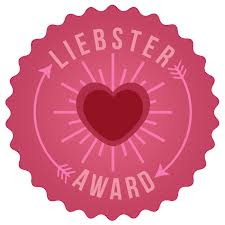 Like yesterday, when I was a bit low and telling my daughters how I feel I am not the best mom and sometimes feel like I don't do enough for them, my 10 year old quickly grabbed my hand and gave me a hug and said "Ma, you are the best and most amazing and fun and funky ma I have ever seen. Trust me, I can never ask for a different ma, you are always doing so much for all of us, without resting or taking care of yourself first, but you always think of us first. You should be proud of yourself ma, I am." I didn't have enough words to thank her......I mean, really, what can you say when your child tells you that you are a nice parent? And then today, my 4 year old told me that no matter how big she becomes, 100 years, 200 years or whatever years old (yes, that's a lot of years I know), she will still always be my daughter and still always ask me to put her to sleep and still always be with me because she loves me so much. Life is blessed, I am truly thankful to be the mommy to these two...couldn't have or ever can ask for more. 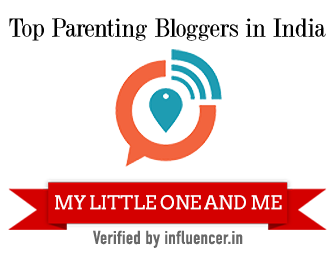 It's been almost a year I haven't come back here and really there couldn't have been a better way to come back to this parenting nook of mine than to share this beautiful campaign called #CelebrateYourChild that has been taken up by Mindseed, a pre-school chain. In an effort to find out if parents really know their own child, Mindseed asked the children to make something for their parents and invited the parents to come and see what each child had made for them. The parents had to walk through a display of the art and craft work and guess which one was made by their child. Superb! The parents picked up the things they thought their kids had made and explained why they thought so. A very interesting thing that came out was that most parents found their child's work by focusing what their child was lacking in and needed improvement on - "my child always colours outside the lines" "my child always writes this letter in a mirror way" and so on. And now it was turn for the children to walk in. When they did, and actually identified the work that was theirs, the parents were left speechless. In an effort to focus on what their kids can't do and how to help them improve, they forgot to see what the children were really good at and what creativity and potential they have. The idea behind this entire campaign is that while it is important to help and encourage your child to do better, it is also very, if not more, important to actually celebrate them for who they are. If you haven't seen their campaign yet, here's a look. I loved the message, and let me just say that I am proud of myself as a parent, for celebrating my kids everyday for who they are, and for encouraging them to reach for their dreams instead of just giving in to the so-called 'standards' and boxes that society creates for them. 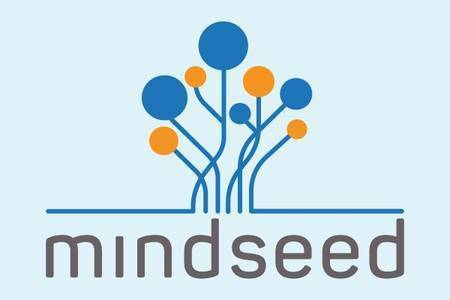 Thank you Mindseed and lovely campaign! 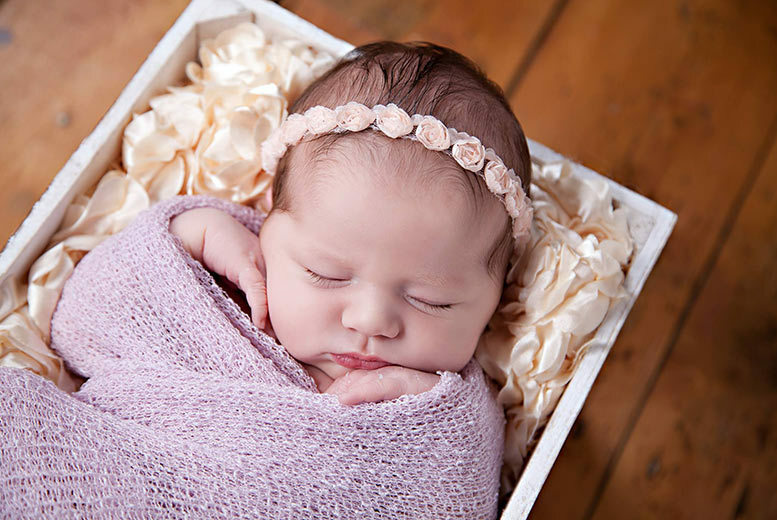 I love adorning my home with pictures of my children, so when the team at Photojaanic contacted me to try out their product, it was quite difficult to say no to them. The brand was launched in the year 2013, before which they were already partnering with Kodak to help customers create beautiful images in print. The idea behind the brand is to help their customers tell their stories through personalized print products. While they have two very interesting concepts - photobooks and wall art - I chose to go for a wall mount print. One of the very first reasons was that I already have a lot of images in the house, but most of them are framed. And there are quite a few images that I would love to see as a mounted piece instead of a framed one. Hence I thought it would be a nice way to try out their features and see what my kids had to say about it. Needless to say, I wanted to surprise my kids, so had not mentioned anything to them. So when the big package arrived, they were obviously very excited to see what it contained. And when I took out the print and put it up on the wall, the smiles and the shouts of happiness was simply worth getting that print done from Photojaanic. The print size that I ordered was 11 X 14 and there are a host of other size options you can choose from. Also, I went for the full image style in portrait as I wanted to have the image take up the entire space and not add any borders or designs. 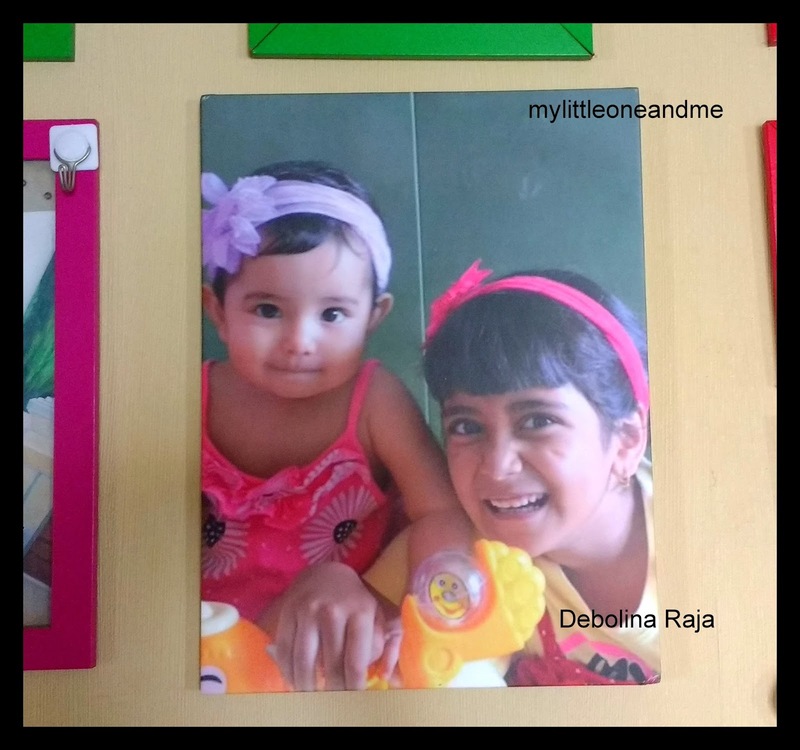 The site has a range of edit options that you can easily use to create your very own custom photobooks as well as custom kids photobooks. I am extremely happy with the finished product, which comes with a glossy effect. The mounted print is very light in weight, and as it comes with a wall mount hook, it is very easy to put it up on the wall. The borders are thick and neat, and there is a seamless flow in the image and the frame. In fact, we loved it so much that very soon we will order a new batch of images again. It's super easy to use and takes barely a few minutes to create your own custom image art piece. These steps will help you do just that, if you are looking for the mounted art option, once you have chosen which images you want to create using Photojaanic. Click in the center and you will see 'Choose Photo' option on the left hand side with options to select and upload your image. 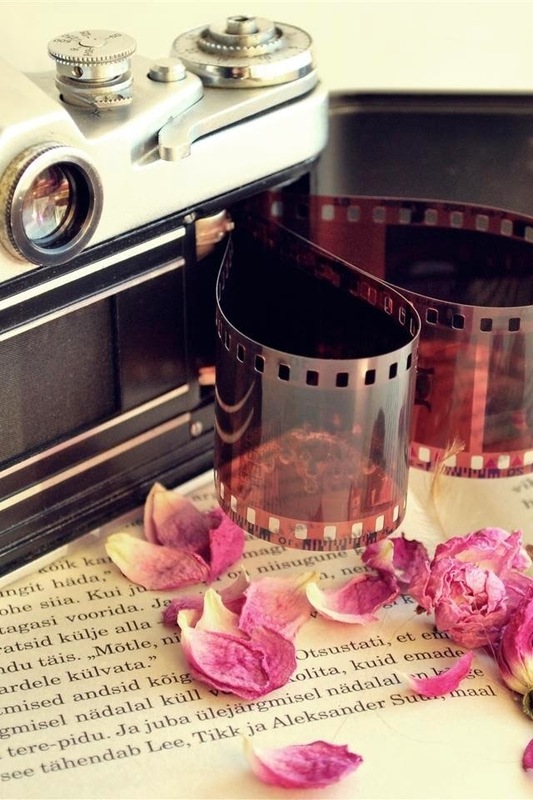 That's all the steps that you need to create these beautiful photo stories for your home. I would definitely suggest you try them out, and also use these as gifting options for friends and family. One of the biggest concerns that most parents of preteens and teens have is related to driving. While as parents we often talk to our kids about the importance of safe driving and never driving under the influence of alcohol, many incidents still take place, often leading to tragic results. Some time back, I received a mail from another concerned and responsible writer/researcher, asking if I would like to share some resources on the same. Here is a very educative and easy to understand resource that you can go through as a parent, and can also share with your young child or teen to make them understand the importance of safe driving and ways to ensure they are not in any form of danger while being on the road. For most teens, learning to drive is their way of making a major leap towards adulthood. This rite of passage is exciting for teens, but scary for parents. There is good news, though. According to the National Highway Traffic Safety Administration (NHTSA), in the past decade, drunk driving fatalities in people under the age of 21, per a population of 100,000 people, has decreased by 49 percent. In 1982, when the NHTSA started tracking statistics relating to drunk driving, the number of fatal crashes involving drivers under 21 was at a record high of 80 percent or 5,215 teens, compared to 10 percent or 1,021 teens in 2015. Although the numbers look positive, there are some sobering statistics, too. According to the Centers for Disease Control and Prevention (CDC), every single day, six teens die in a car accident, but the saddest news of all is that there are many ways these accidents could have been prevented. 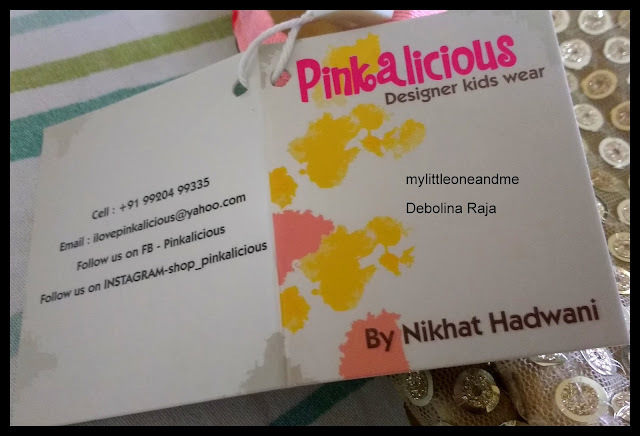 Some time back, about a month or so ago, I was contacted by the team of a kids' clothing brand called Pinkalicious. I told the team my concern and they were quick to inform me that I would not be unhappy. Also, they were very specific in understanding my kids' age and specifics, so that they could send me the clothes accordingly. When I went on to their social media page, I saw a lot of styles that were really eye-catching. 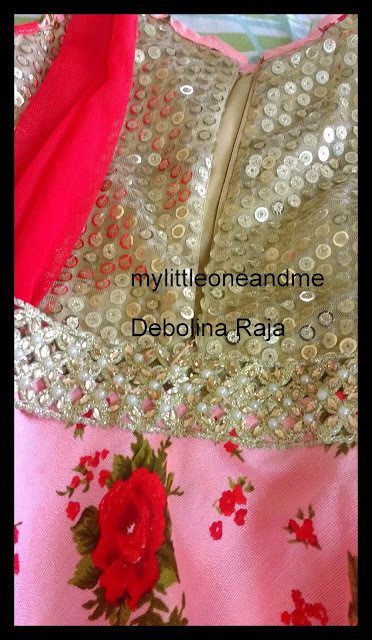 One of the things I needed to go by was the colour, as both my daughters are only always obsessed with the colour pink. But I also wanted to deviate a bit and experiment. So the team suggested a few designs, and here is what I absolutely loved by the first look itself. This is what I absolutely loved for my 3 year old. 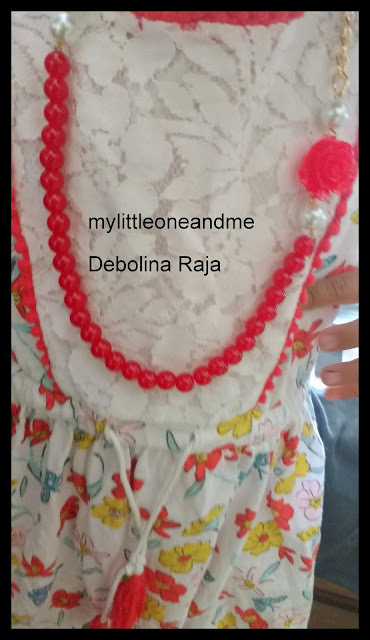 It is a little long in length, but I can still make her wear it and the best part is that it will last her a long time. The pinks and reds, along with the golden makes it for a gorgeous party dress, great for parties and weddings. 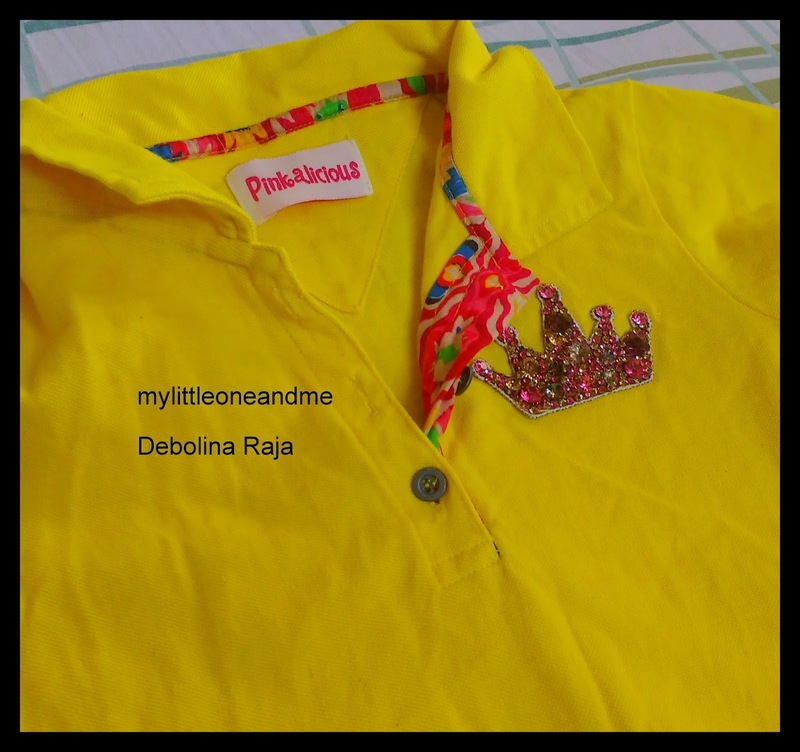 Again, my elder one does not have many non-pink clothes, and this gorgeous bright yellow tee was just perfect for a 9 year old. Also, the fact that it has a really gorgeous pink stone encrusted crown on it made it super cool. The fabric is really soft, which is not the case in most party dresses. I am not really sure what it is but it is something that my daughter was happy to wear, it did not irritate her skin. 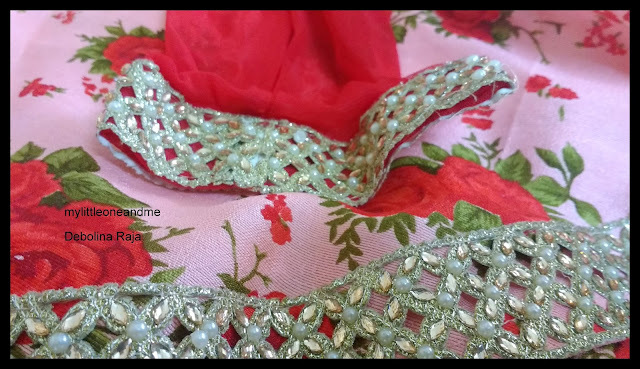 The zari at the border of the dress matches the one on the dupatta. 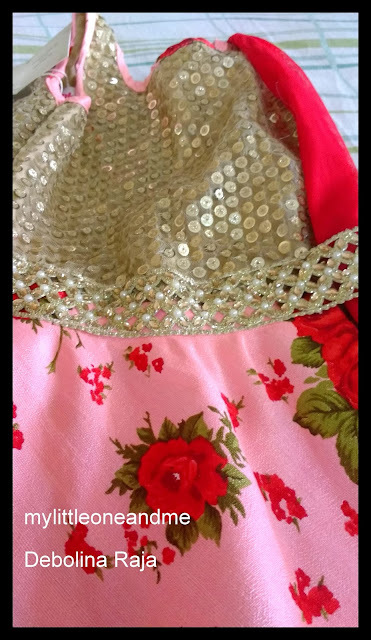 Also, I am happy that it is stitched in such a way that it will not directly touch my child's skin, and not make her itchy. The lining is made of cotton, which protects the material from directly touching the skin and does not cause any itching. This is always one of the first things I check when I am buying any fancy clothes for my kids. So this is a HUGE PLUS for me. The zipper detail is also very good and sturdy. The fabric of the tee is breathable, and my daughter has already started wearing it, waiting for a special occasion was too much for her :) I soooo love this crown detail. And for a change, she looooved the yellow colour! The collar of the tee has a bright print fabric in the inner lining, which adds a lovely contrast to the overall look. I like the idea of these small yet important details. Here are all the details you will need to get in touch with them. The idea behind Pinkalicious was the dire need of a mother to find an exclusive dress for her daughter's 5th birthday party! 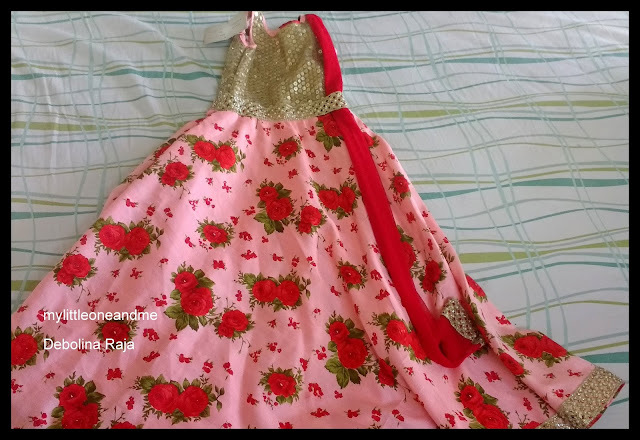 From 1 dress and design, it soon turned into multiples!! 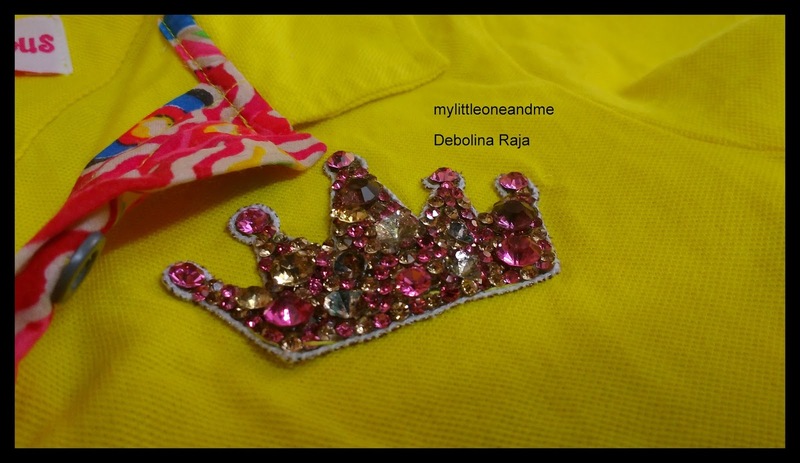 Today, the brand is up to work on any style and design that you want to specifically create for your little princess or prince. ‘Koco Kids - Imagine. Discover. Learn’ is a Preschool and Play area that has just opened at Santacruz (West), Mumbai. Focused on providing a loving and enriching atmosphere to help your child achieve their maximum potential, this is the first of its kind Preschool & Play Area with the largest indoor and outdoor play area. At Koco Kids, you will discover tailored programs that have been thoughtfully designed for your child’s precious early years. Working closely with parents through a happy, fun and unhurried atmosphere, the group helps develop an interest in learning with fun. Koco Kids promises a one of its kind concept which combines constructive outdoor play with a state of the art soft play and indoor play area. A place where kids of all age groups can climb, jump swing and run under one roof. Along with that there will be extra-curricular activities which will be open to all, for the complete growth of the child. Most preschools and kindergarten institutes these days are offering a hands-on learning approach, so how is Koco Kids different? Koco Kids is different because of our curriculum, our facilitators, our equipment and our overall ethos. We are extremely focused on what is developmentally and psychologically appropriate for children and have created an environment that promotes imagination, play and discovery as a medium to achieve learning. Everything from the color of our walls to the size of our blocks has been chosen considering the appropriateness for little children and how it can contribute to creating a developmentally sound environment. Our curriculum is a beautiful blend of marquee preschool educators like Madam Montessori, Reggio and Waldorf, with a healthy dose of play. We have borrowed the best from each school of teaching, modified it to make it relevant to life skills needed in today's times and thus created a unique method of teaching. We believe in letting children grow at their own pace, bringing out the uniqueness in every child and inculcating a lifelong love for learning. 2. 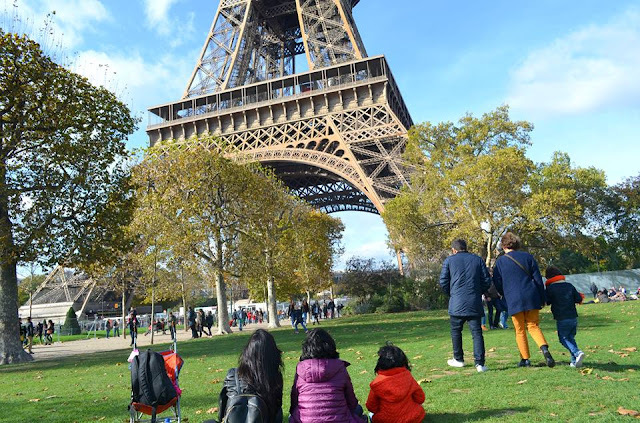 In a country that gives so much stress on learning from books from an early age, how do you encourage parents to adopt the learning through experiencing concept, rather than the learning by rote? At this tender age we want to hone a child's imagination, develop life skills and an undying love for learning, Our curriculum is a guideline that enables teachers to steer the class in different directions based on what may interest the child since every question, every observation made by a child is an attempt to learn, and must be encouraged rather than drowned in the practice of following a rigid lesson plan. Some time back I was contacted by the wonderful young parents Varun and Ghazal, who told me about a new product line they were coming up with. The brand in question is MamaEarth. Being young parents themselves, they understand the importance of using only the best products for our little ones. While there are tons of brands out there in the market that claim to be the best for our babies, we all know that most of these are marketing gimmicks, and some big brands have also faced the flack for containing carcinogenic compounds that can cause cancer. In one of my earlier posts I had talked about 10 cancerous chemicals we end up exposing our babies to unknowingly. 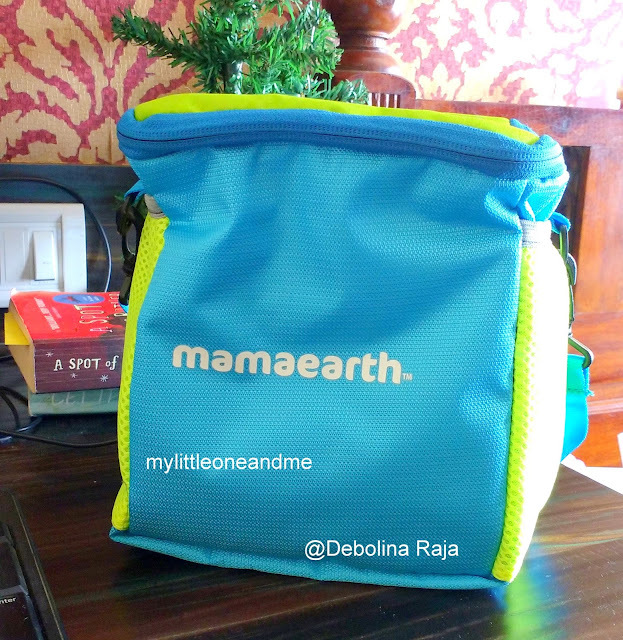 The reason I was interested in trying out the MamaEarth products for my kids was because they are Asia's first MadeSafe Certified Brand. If you are not aware of what that means, do check this link here to know more. Here's a look at all the wonderful products and the links from where you can buy them. I am always passionate about products that are natural and herbal, use zero chemicals and are naturally healthy for me and my babies. I am always reading up about what's good and what's definitely not good about products and ingredients, and in this quest to know more, I have realized that what we many times take for granted, in terms of brand consciousness, just doesn't work right. For instance, a certain very famous baby brand was recently embroiled in a huge controversy when it was found that one of their products contained carcinogenic substances, or to put it simply, contained elements that could cause or increase the chances of cancer. Why would a baby brand, or any brand for that matter, do that? 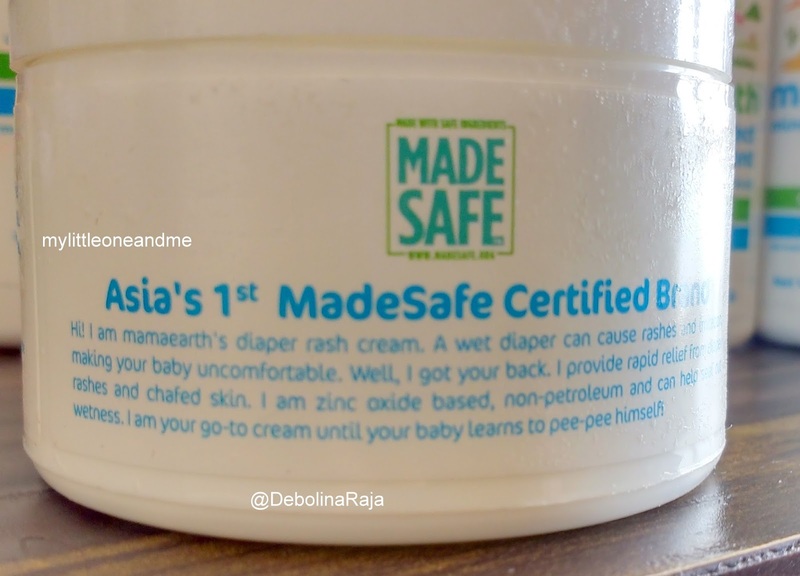 I was not really using their products, but after this entire thing and after the brand themselves apologised and confessed, there is not one product from them that I have in my home, or will let my kids use. I was never in the habit of turning over product bottles to read the ingredients until my first one came along. Any product that is launched with those babylicious ads and is packaged in cute bottles may not necessarily be the best thing for your baby. In most cases, it may conceal harmful toxins that can really play with the health of your child. Did you know that infants up to the age of 2 are 10 times more vulnerable to carcinogenic chemicals than adults. Children accumulate up to 50% of their lifetime cancer risk by their second birthday. Horrifying, isn’t it? I've always been kind of the odd mom out (not to say I'm odd in a lot of ways, and this isn't a surprise that I'm odd here too), and over and over again, I've been perceived as different from other moms, and I know that I behave that way as well. But I do not regret it one bit. The biggest reason for my being happy about the kind of mom I am is that I can see for real that my kids are happy, healthy and fine, that they live with a smile and cry with their heart, that they can feel and understand their emotions, and those of others around them, and that they are good human beings, essentially. 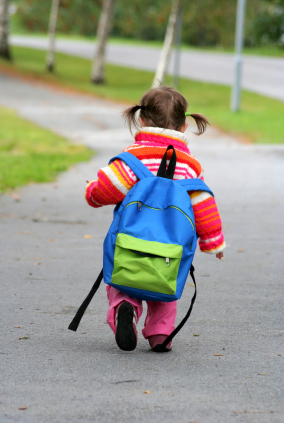 I have always maintained that I do not want to restrict my kids in the many time tables set by society. And that involves the time-tables and set patterns created by school, society, family, friends, relatives, neighbours and everyone else out there. I do not believe that confirming to set patterns is what makes you successful, but I do believe that finding your heart's voice and following it is what makes you that person you really would want to be, and also be happy about it. For the past few days, there has been an intense activity in the mommy groups of my kids's classmates, the topic being which kid studies how long each day and how much they all know. Let me state that these kids are 3 and 9 years of age, it is a time when their childhood is barely beginning, it is at that stage when it is budding, when it is time for their childhood, their dreams and their talents to be nurtured and honed. At least that is what I believe. I gave up on everyday sit down and study for so and so hours concept long back. For my elder one, it is more of a learning through everyday activities and experiences. Of course it is important to follow certain patterns, such as studying for that test and knowing you have the answers and understand the topic, or being on time for that class submission. All of that is important. But more than that, it is also important to have an open mind and free access to learning, as opposed to sitting down in one place and studying. So, for instance, my elder one is a fan of various international culinary shows, and knows about a host of ingredients, cooking styles and global cuisine that I do not have any idea about. Of course she won't learn this by just reading a book. She wouldn't know how to crush that spice, or how to smell a particular herb and know if it is fresh and if it will make the best garnish. When she reads a menu, she knows exactly what she wants and what and how to order - and she is 9. My younger one knows all about alphabets, numbers, colours, days of the week, month, shapes, poems, basic manners, etiquette, how to greet people and a host of other 'how to's' - and she is 3. And I am happy. And I am proud. That all their learning is coming out of their own choice. That all they want to learn is out there, and that I am able to give them access to spread their wings and learn, instead of tying them down to one place and simply study. The elder one wants to become a lot of things when she grows up, a painter, a writer, a storyteller, a pottery artist, a fashion designer, a chef, and so much more. And I am gonna be absolutely happy with whatever she chooses. The younger one is too young to fall into this trap of worrying about 20 years down the line scenario right now. And I don't want to impress anything on her either. And I promise, if I am not able to leave back anything else, I will still leave behind that glimmer of hope and dreams in my children's eyes, and inspire them from somewhere of never giving up on life, dreams, love and beliefs.....it's all so worth it. Some weeks back I was contacted by this very sweet person called Hariharan from Flintobox. The mail came in good time, as I happened to see some digital ad about the same around that time, but I had no idea what it was about. 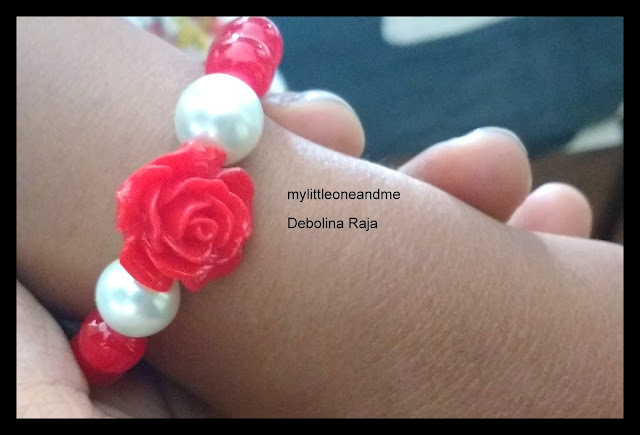 So when I asked more about the concept, I realized that it is a super fun monthly subscription box that aims at making education and learning extremely interesting and fun. 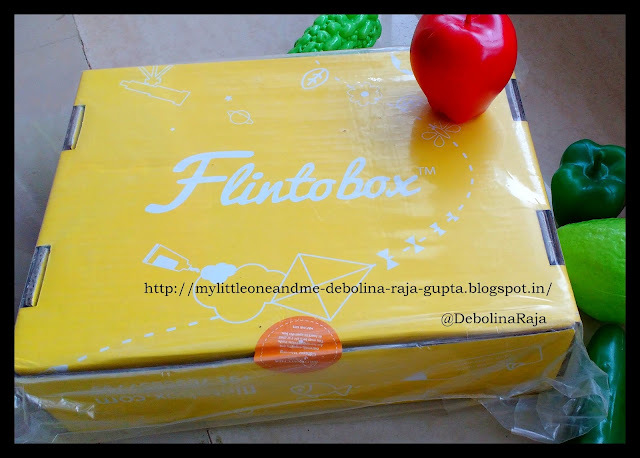 Of course there are various activities and offers from different brands that have come up with creative boxes for kids, but in this day of subscription boxes, Flintobox did manage to come up with something unique and really interesting. Are We Turning Our Babies Into Monsters? Over the past few days, it's really saddened me to read the paper here in India. I have consciously stopped watching news channels for a long time now, the reason, I'm sure, most of us already know, but let me just say, with news hour turning into a free-for-all barbarian show, I just didn't want to go through the same every single day. Two extremely violent recent incidents, both involving teens, is what prompted me to write this today. I am sure many of you may find it useless, or disturbing, and if so, please click the exit button and move on...I have no problem with that...If you choose to read on, thank you. But no evidence was found.....not surprising....why? The murdered teen had recently become friends with a girl who was earlier in a relationship with a boy who comes from a very affluent and influential family in Kolkata. Both the teen boys knew each other and were often part of same parties and groups. In fact, some common friends had mentioned earlier how the two boys always were uncomfortable with each other. The influential boy's father had in fact asked the girl's parents to keep her away from the murdered teen, and asked the murdered teen's mother to keep her son away from the girl.....interesting? why? What happened that everyone had to suddenly change their version? what happened that the teen from the affluent family and his father both suddenly disappeared? how was it that no friends came out and gave exact details about what really happened? Going through this experience the second time, I was quite sure it would be easier to help the younger one transition from home to regular school. The elder one had also had her share of tears, and that time I wasn't this prepared. This time, Debo mommy was absolutely ready. And failed !!!!! Ya it's kind of funny actually. The fact that my kids never went to a playschool means that once they start school, it's an absolutely new experience for them. For the younger one who just started kindergarten about 3 weeks back, it's been an absolute nightmare for now. She's been waking up in the middle of the night crying and howling, looking around for her teddy bear that's her constant source of comfort, and hugging me to say she never wants to let go. I am blessed, yes, but I feel so much for her right now. I was pleasantly surprised when someone from the brand Kidoonz wanted to get in touch with me so that I could check out a couple of kiddie products. As I have two young ones at home, almost 3 and 9 to be precise, I told them so, and the wonderful people there suggested I use a cute emoji pillow for the younger one and a travel-friendly bottle for the elder one. Once I said yes, they agreed to send over the products. Let me say at this point that this is not a sponsored post, I was sent the products very kindly by the brand to use for myself and see, and if I liked I was free to talk about it with my readers. I have not been paid by the brand and have not been asked to say what I will say here, all opinions are my own. So when the package arrived I opened it to find a beautiful and heart-touching note, specially hand-written! 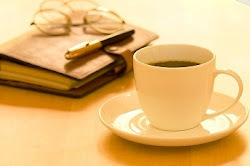 Who last gave you a hand-written note, which actually meant something nice (not counting your post-its of to-do lists)? I was really touched. We hope you and your little one like this Kidoonz gift! We'd be grateful if you could post a review about it on your social media platforms and do stay connected with us too! Recently I was contacted by this lovely lady from FingerPrint publishing, Megha, who asked me if I would like to read a copy of a very interesting book titled Green Mama By Manda Aufochs Gillespie, which focuses on various easy to incorporate and simple lifestyle choices that we can make as individuals, that will not only teach our kids how to live a more balanced natural life, but also create a greener world. The book aims at mixing the various teachings of science in our everyday lives while also combining it with the age old wisdom and teachings of grandma. Quite an interesting concept, especially because I as an individual, and as a parent, believe in the power of natural and green living. With so many changes happening around us in the environment, the effects of global warming are already here. But all it takes is a little change, a little switch from what we may have been doing till now, and create healthier and safer alternatives. Of course I said yes and was eagerly waiting for the book. So when it arrived, I went through it, randomly at first because I was flipping in and out of work, but finally got down to reading it at leisure and give it the time and the attention that I feel the book truly deserves. What are the most pressing problems facing new parents today? As the world has become increasingly more complicated, so has parenting. We are concerned about pervasive toxins in the environment and anxious to raise our children in ways that will protect them as well as safeguard our already fragile world. Manda Aufochs Gillespie, The Green Mama, shares what today's science and Grandma's traditional wisdom tell us about prenatal care for mothers-to-be, breastfeeding, detoxifying the nursery, diapering, caring for baby's skin, feeding a family, and healthy play - redefining the 'basics' of parenting for today's world. 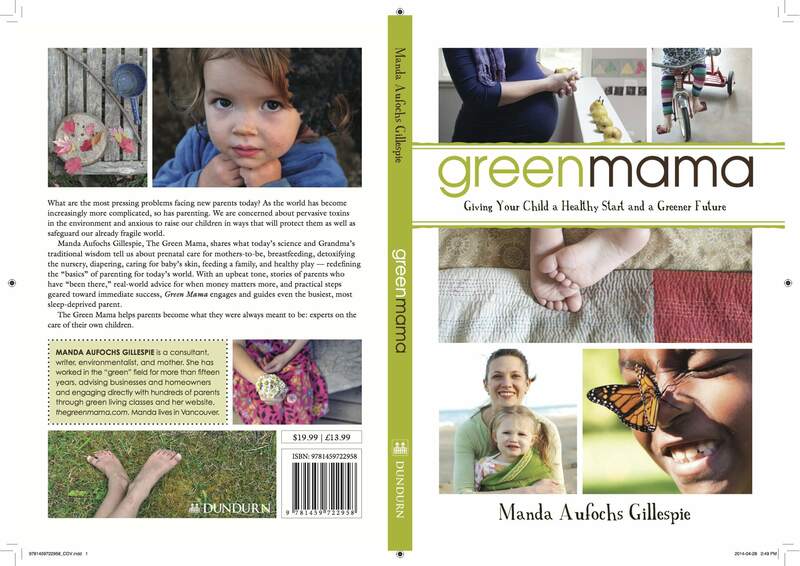 With an upbeat tone, stories of parents who have 'been there,' real-world advice for when money matters more, and practical steps geared toward immediate success, Green Mama engages and guides even the busiest, most sleep-deprived parent. The Green Mama helps parents become what they were always meant to be: experts on the care of their own children. 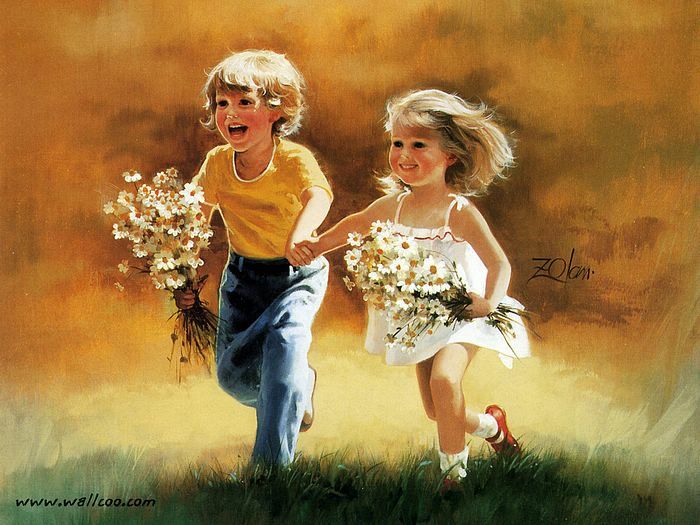 This book is dedicated to all the world's children, especially my own beloved Zella Rose and Zada 'Maela.' May we create a world worthy of them all. Isn't that really the need of the hour? May we create a world worthy of them all. For as parents and as adults, we know that the world we live in is not a gift we got from our ancestors, but a treasure we have taken on loan from our children, and one that needs to be taken care of, nurtured, truly treasured and handed back safely. Each time we start talking about living green, the first thought that comes to mind is that it will mean a huge transition from your current lifestyle, that trying to adopt a greener lifestyle will mean too many uncomfortable changes. Well, not really. Once you know that you are on the path to becoming a parent, you attitude towards the world changes, and everything that was till now about you tends to become more about your baby, about how it will affect your baby. And hence the little everyday things that you do. 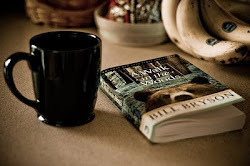 The book tells us about small things you can do at home and the very small but very huge and very important changes that you can make in little things and ways around the house that will help to make it greener and more natural. Also, the book is not a preachy handwork of someone who knows it all and wants you to simply follow. It gives you all the info you need, in a very easy to understand and even interesting way, full of colorful and heart-warming images of real children and families. I feel that the above topics pretty much cover almost everything a new mommy would want to know about her baby's first year needs. And once you start off to a green start, the road ahead is only bound to be easier and more and more comfortable. In addition to all the above, the book also provides a lot of insight into what all is really going on there behind labels and other things that you may not be aware of, and how you can be a more alert and informed parent. I absolutely loved the book, and I am really happy I got a chance to learn more. It is definitely a must-read for any parent, whether you are about to be a parent, already have one child or many, or even if you are not a parent. And yes, I am definitely going to suggest it to all my friends and people I know of. So make sure you have a look too. If you are based in India, you can buy the book here. Those days of facing crisis and nearing the end of our reserves on Earth have already started appearing. What we earlier thought would be a thing of the much distant fture has suddenly come up with its big scary face, right in front of us. From melting glaciers to fast rising temperatures to winters that are almost a thing of stories now, our home, the Earth, is facing a lot of crisis, and much of it due to us, who live here. With so much happening and so many problems cropping up, it is no surprise that now is the time to take action. As parents, we have a lot of responsibility on us. Not only do we have to don the cape of the role model and practice what we want to preach, we also need to involve our kids in the task and make sure they understand the reason why they are doing what we ask them to. One of the most common problems we are facing at this moment is shortage of water. With draught being declared in Maharashtra (India), we in Mumbai are still fortunate enough to get enough access to clean drinking water. But not everyone is so fortunate. In fact, if we do not start the conservation process right away (even though we are already late), it will be a surprise to have regular water anymore in the near future. As adults, we do practice a lot of water conservation at home, but I know it is important to inculcate this as a habit in the little ones too. And that is where it helps the most. It's no rocket science trying to teach your kids regular habits that are necessary, and just a few easy steps and repeating them over and over again can go a long way. Brushing Times Are Sensible Times: The first thing in the morning that the kids do is brush their teeth, and of course splashing and playing with water is out of the question. To make it easier, I make sure to hand them their toothbrush only after I have added the paste on it, so that the little ones do not have an excuse to play with water, and waste it in the process. Once done, I clean them up. The little one knows she has to clean her tongue and mouth and all the regular face washing ways, but she knows that each time the tap has to be closed and water should not come out. Small Tap Yes, Big Tap No: While the older one knows she has to keep the tap on slow, the younger one is too young to understand and remember it all the time. To make it simpler for her, I devised a simple phrase that she understands best. 'Small tap' means the tap is switched on slow and the water flow is less, while 'Big tap' means the tap is switched on fast and the water flow is fast. Each time she opens the tap herself, I remind her to do 'small tap' and she knows it means slow. Make Bucket Baths Fun: Of course kids love to play in the bath tub and because we have one at home, it's even easier to fill it up and waste loads of water. While the kids do get a chance to sometimes get in the tub, I have made sure that bucket baths are also as much fun as a dip in the tub. Bring out all those plastic squeaky toys that are perfect for bath time and let your kids enjoy. To ensure there is no wastage of water, I fill it up myself for them and let them use it as they wish, of course while making sure they get clean too. Carry Water Along: I always carry water with me wherever I go, and it has been a habit ingrained in me since I was a child. No wonder then that my kids have picked up the same habit. So wherever we go and even if we are headed out to a restaurant, the kids always carry drinking water from home. Not only does it save money (come on, it does), it also helps save that bottle of water for someone else who may really need it. Fill It Half Please: Each time we are eating out at at restaurant, there is a lot of refilling that the waiters do whenever the glasses are half-full. My two year old is too small to pick up a heavy glass full of water, so it is easier for her to have one that is only filled halfway. As a result, she is now comfortable with the concept of having half a glass of water or lesser and asking for more if she needs it. I do the same for my elder one and even for myself, so that there is no wastage of water if we do not really need it. We hear it on the nightly news, read about it in articles, and see fitness junkies that pop-up in our news feed via social media. Fitness and nutrition is an aspect of our lives that we should always keep at the top of our list. Being fit, and eating a balanced diet can affect you in more ways than you might think. For me, eating the right foods and regularly exercising help to stabilize my mood. Though I tend to always think positively and be productive, I have found that with proper exercise and nutrition I can increase my productivity and handle stressful situations in an easier manner. These same effects can be found when regular dieting, and less vigorous exercise is practiced by patients with various illnesses or diseases. For instance, a mesothelioma patient who battles with weekly treatments can stay active by doing uncommon things, like walking around their homes more often. Additionally, eating vegetables and foods that are lower in saturated fats and sugars can help patients find more stability through treatments. It can also help to increase energy levels, which might have become depleted through medical procedures. Do you know someone who might have fought an illness? We can encourage everyone, even those with illness to add a small dose of extra exercise into their daily routines, to increase the well-being of all. Mesothelioma patients are one of the most common victims of exposure to asbestos. These patients too, can greatly benefit from taking a few extra steps to recovery, everyday. If you know of a friend, or loved one who might have dealt with mesothelioma, encourage them to exercise. 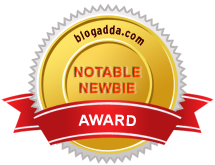 Additionally, join me in supporting the fight against mesothelioma, by sharing the badge below on your blog, or website! As a parent, it's quite fun and interesting to see your little one try to emulate your actions and copy you in any which way possible. Did you know that your child's first learning comes from watching you or the primary caregiver and trying to do exactly what you are doing? From the way you smile and greet your child to the way you pitch your voice while speaking or the way you embrace your little one with love, your child notices everything, right from the initial months after birth. It is these everyday actions that help your child better understand the world around, and also help to teach the first few lessons of how to behave and react. A very important method of learning that your child will have, especially in the toddler and pre-school years, is the media. With so much exposure to media in all forms these days, there is a host of options to choose from, not all of which may always be appropriate for your little one. As busy parents, we often tend to hand our gadgets to our children, hoping it will keep them entertained while we end up finishing our deadlines and chores.